How Many Fights Does Georges St-Pierre Have in Him? 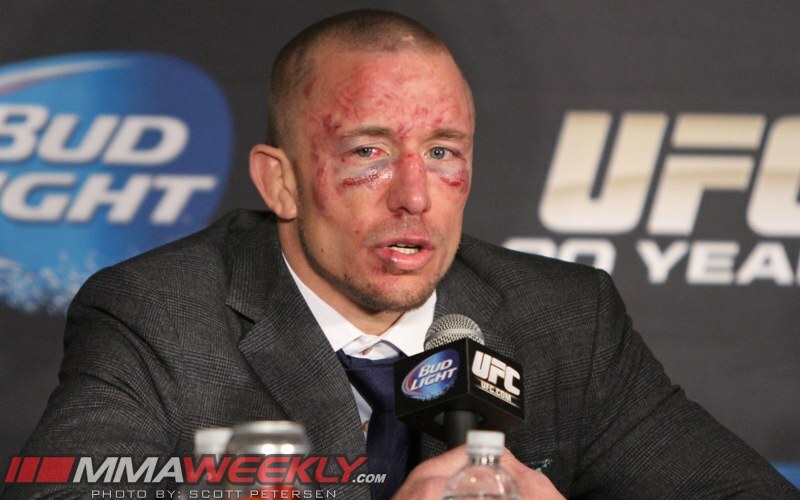 Now that Georges St-Pierre‘s UFC return is official, how long can we expect him to remain in the Octagon? 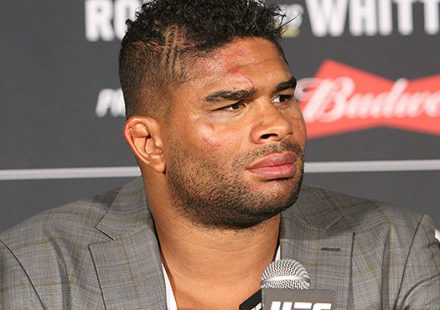 The easy answer is: we might expect him to fight four more times or the length of the newly negotiated contract that enticed him back to the Octagon. St-Pierre, on a recent episode of UFC Unfiltered, acknowledged that his new contract with the UFC is a four-fight deal. So, of course, we could expect four fights out of the 35-year-old former welterweight kingpin. 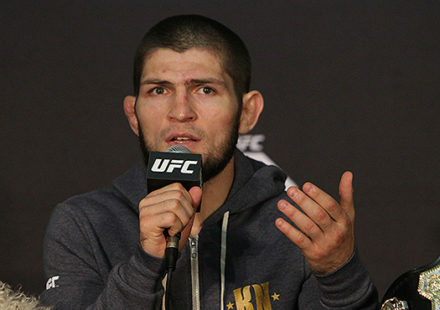 A four-fight deal doesn’t necessarily mean he will fulfill all four fights, but just the same, it doesn’t mean that he won’t enter into an extension or new contract beyond the current one. There are several factors that will influence the length of St-Pierre’s return run. The two key ingredients that will definitively determine St-Pierre’s return recipe, however, are performance and health. Of course there is money to be made, but St-Pierre, if he manages his finances well, is reportedly set to be comfortable from that standpoint for the remainder of his life. In his own words, the bigger reason for his return was to test himself and see how well he performs in today’s athletic climate, which is a much more dynamic world than when he exited the sport three and a half years ago, before the clock runs out. “I think for me, it is time to come back now because I’m 35 years old. I just finish a training camp that I did to see if I can come back to the world class level. I feel at the best shape of my life,” St-Pierre said in a recent video released by one of his sponsors, Hayabusa. That is going to be key because St-Pierre doesn’t want to return, only to string out a few lackluster fights and collect a paycheck, particularly if he doesn’t win. He’s moving up to middleweight to challenge UFC champion Michael Bisping in his return bout, which isn’t really the test that St-Pierre will eventually have to undergo to determine if his can still hang with the new age of athlete. Bisping has been competing as long as St-Pierre, and is nearly three years older. But it is a good first fight for St-Pierre to gauge whether he is truly ready to compete again. 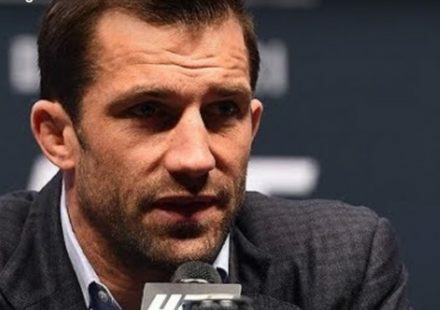 If successful against Bisping, however, he will be pressed to take risks against the younger, more dynamic fighters that have entered the Octagon. If he can’t compete with with Bisping and whoever comes next, don’t expect St-Pierre to hang around for long. As he said, St-Pierre wouldn’t return if he didn’t think he could meet the challenge that awaits him on the skills-side of the equation. What is the more likely factor to shape his return is his health. St-Pierre has a history plagued by injuries, particularly with his knee. He had his career stalled on several occasions due to knee surgery and recovery. St-Pierre even suffered an anterior cruciate ligament tear in the months after he last stepped foot in the Octagon. His durability is likely the biggest factor that might keep St-Pierre from fulfilling his four-fight contract or extending the deal beyond four bouts.